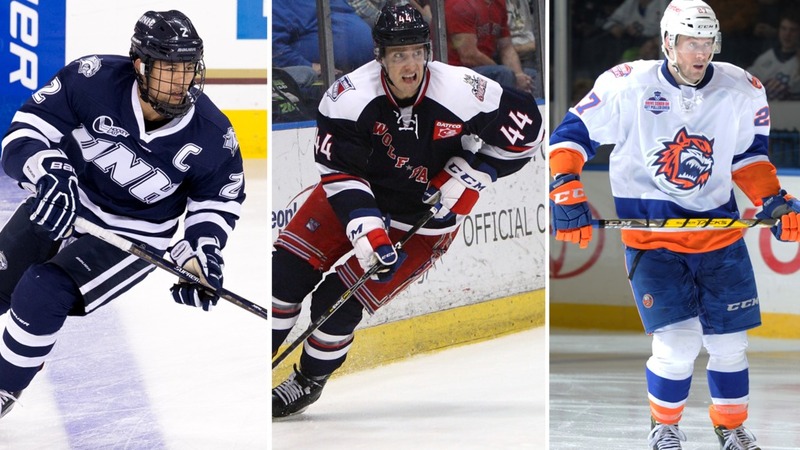 The Marlies added a trio of new players this weekend, signing centre Joshua Winquist and defencemen Michael Paliotta and Matias Cleland to deals. Winquist, 23, joins the Marlies on a two-way contract following a strong year with the Atlantic Division’s Bridgeport Sound Tigers. He recorded 32 points (15 G, 17 A) in 53 games with Bridgeport, including three game-winners. A native of St. Albert, Alberta, Winquist has 81 points in 135 career AHL games with the Sound Tigers, Bakersfield Condors and Oklahoma City Barons. Winquist played junior hockey with the Everett Silvertips of the Western Hockey League, putting up 93 points in 67 games during his final season. Defenceman Michael Paliotta, 24, also comes to Toronto from the Atlantic Division, playing the 2016-17 season with the Hartford Wolf Pack. Paliotta scored 14 points (1 G, 13 A) in 52 games with the Wolf Pack, and has 37 points (9 G, 28 A) in 120 career AHL games. Paliotta was a member of the 2015-16 Calder Cup winning Lake Erie Monsters, playing in eight playoff games during their run. The Westport, Connecticut native played college hockey at the University of Vermont, earning 83 points in 144 games with the Catamounts. Cleland is also a graduate of the NCAA’s Hockey East conference, and joins the Marlies on a two-way AHL deal. Cleland, 23, finished his college career last season as captain of the University of New Hampshire Wildcats, and recorded 36 points (3 G, 33 A) in 40 games. In four seasons at New Hampshire, Cleland earned 86 points (14 G, 72 A) in 157 games. Following the college season, he played five games with the Wheeling Nailers of the ECHL, recording a goal.